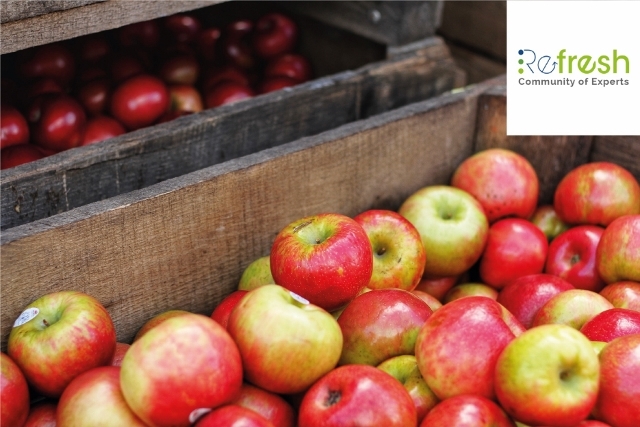 REFRESH partners are pleased to announce that the REFRESH Community of Experts (CoE) is running a series of four webinars on ‘Tackling Food Waste Across the Supply Chain’. The webinars will demonstrate how policy makers, manufacturers, retailers, distributors, municipalities and many more organisations involved in the food supply chain can effectively address food waste. The series will be hosted from 9 April – 2 May 2019 and offers an opportunity for participants to gain insights from case studies, ask questions of the speakers and get signposts to further information. The first webinar will take place on 9th April 2019 (14:00 GMT / 15:00 CET) and is titled Opportunities and approaches for increasing the value of food waste and by-products. The webinar will address the following issues: What are the opportunities available at different parts of the supply chain to use unavoidable food waste and food side streams? What are the opportunities and barriers presented by policy? How can food streams be best assessed for increasing their value? What can we learn from existing case studies? If you want to participate the webinar, please visit the page here. the FAO/ WHO GIFT dissemination platform will organise a new round of particpatory webinars in March 2019. The webinars will enable participants to share suggestions on new indicators which could be developed, to learn about the plans for the further developments of the platform and to learn how to upload datasets and their metadata into the Platform. Interested in the project? Read the position here. As of December 2016, an EU regulation requires businesses selling pre-packed foods to include nutrition information on packaging. Declaring nutrient composition data for products is both complex and costly for SMEs. Many food businesses are aware of their obligation to provide information for consumers (nutrition labelling) on pre-packaged products. However, SMEs producing fewer than 1 000 units yearly are less aware of the regulation.